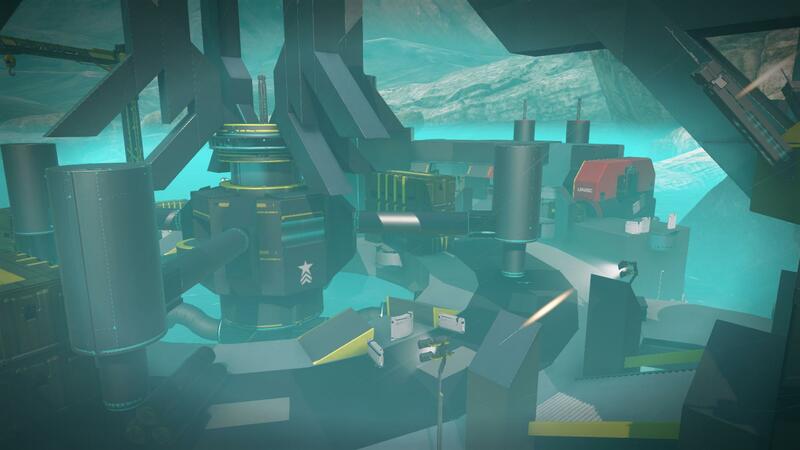 Tempest Station is an 8v8 symmetric map, originally forged by TheLast Ravager. Map download: Official Version. Original. Replaced Tanks with Ghosts (60 second respawn). Made Mantis appear in all game modes. Made Sniper appear in all game modes. Reduced Sniper respawn from 210 to 180 seconds. Reduced Rocket Launcher respawn from 180 to 120 seconds. Reduced Speed Boost respawn from 150 to 90 seconds. Added a jump from Cargo to Junction (aka Rocket Spawn). Lowered Carbine One/Two so they aren't quite so overbearing. Added jumps from each team's mancannon toward center, as another alternative to leaving the base. Made cover around central ring more symmetric. Enlarged the Depot stairwell landings. Added a one-way teleporter from the bases to the Depot stairwells. Added a Plasma Caster to bottom Depot (60 second respawn, 2 spare clips). Last edited by Mythonian; 07-28-2016 at 08:29 PM.